Tarrerias-Bonjean always focuses on quality. 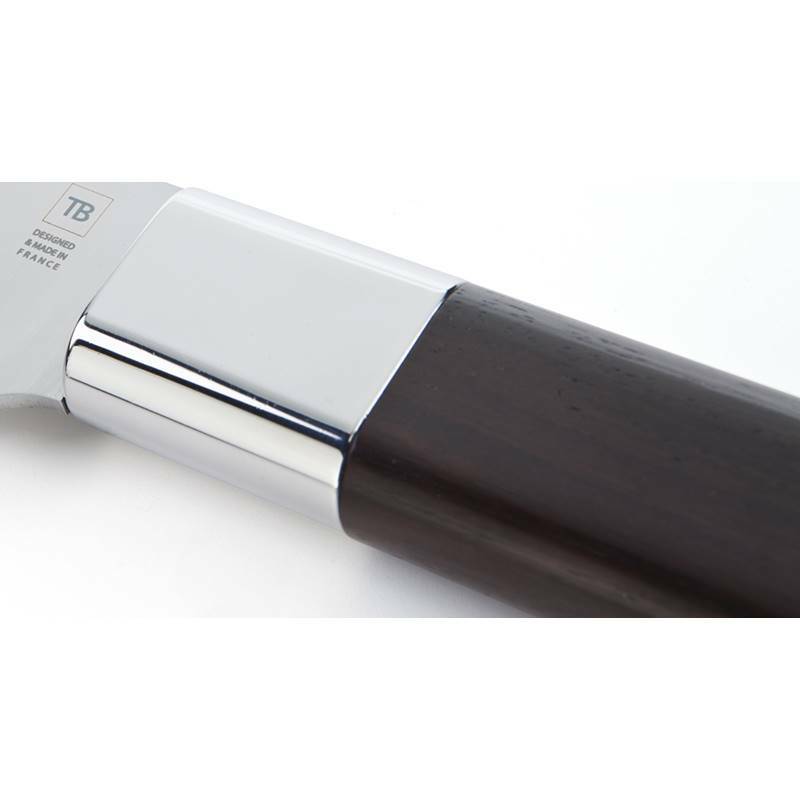 The R&D department team of TB Groupe creates professional quality knives so that they can be time and wear-resistant. Extremely hard, the 22cm stainless steel blade of this kitchen knife is made of a perfectly balanced alloy of carbon and chromium. Its double bevelled blade offers an unparalleled sharpness. 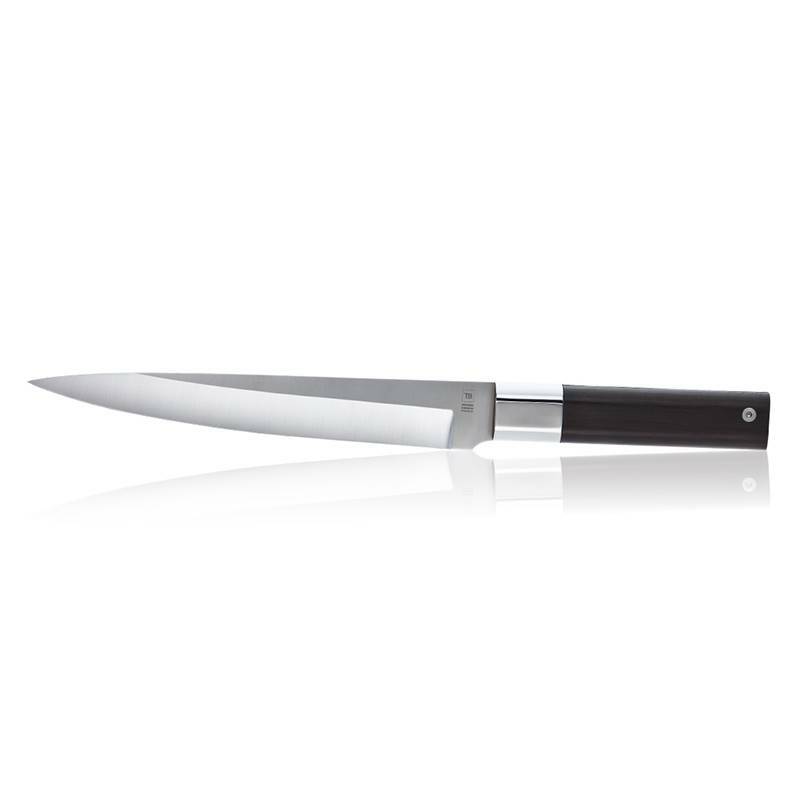 Indisputably elegant, the kitchen knife benefits from a prestigious handle which quality offers an excellent and natural handgrip. 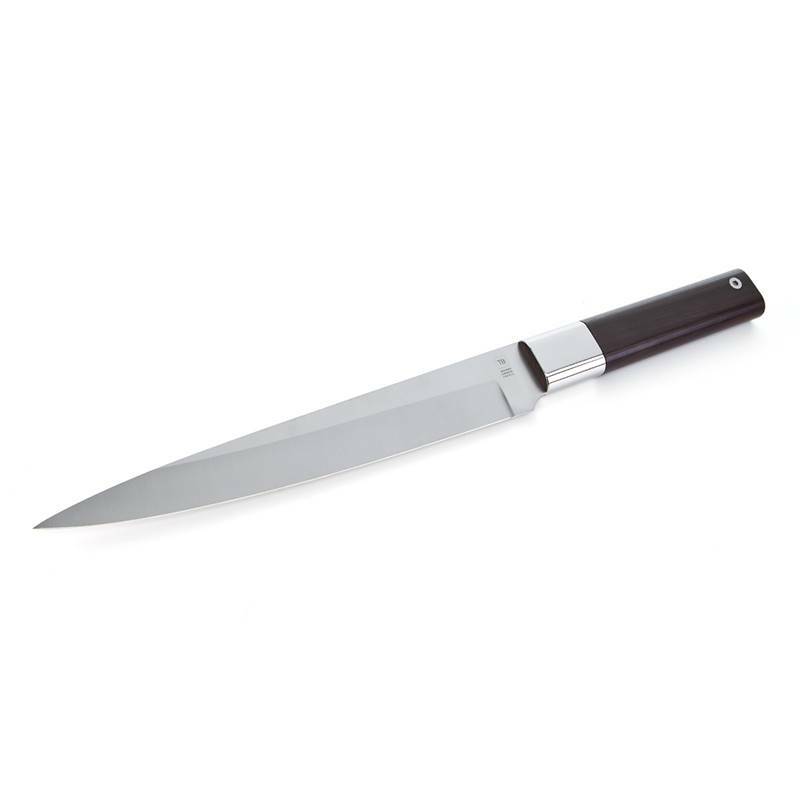 This professional kitchen knife guarantees a good handling ability for a handy and easy use. 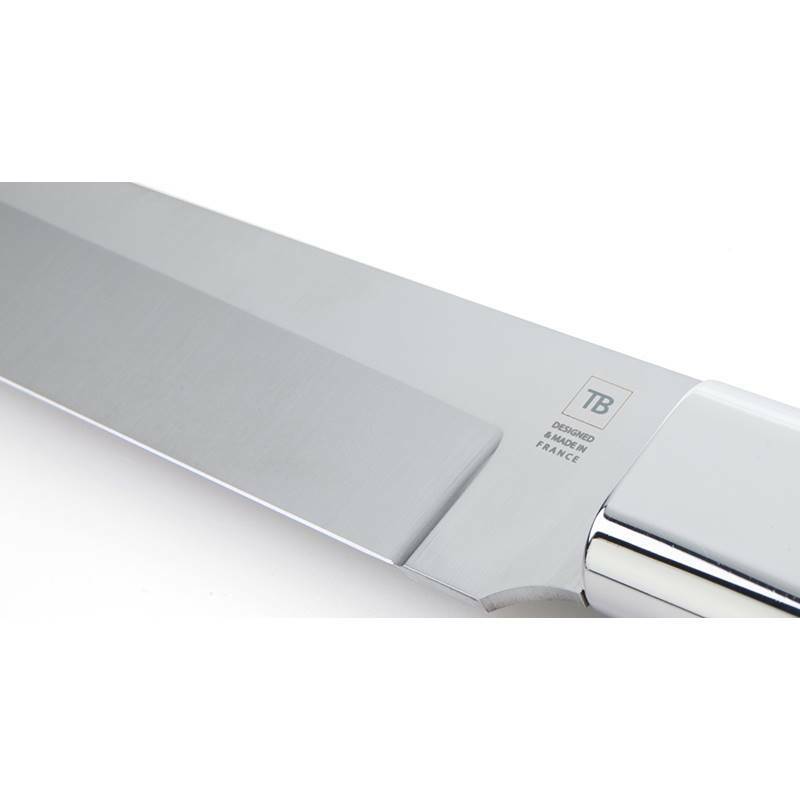 It also has a mirror polished bolster and a high quality Swedish steel blade that can be personalised by an inscription up to 30 characters.